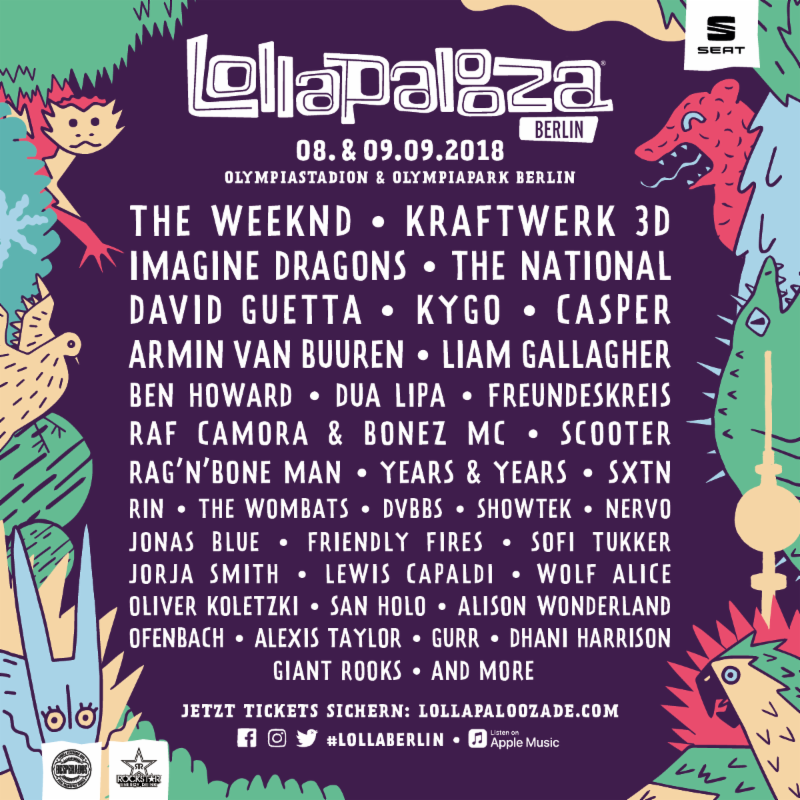 Lollapalooza Berlin 2018 has just announced its initial lineup for its fourth edition on the 8th and 9th of September at the city’s Olympic Park and Stadium, including a well-balanced diverse mix of artists from across a variety of disciplines. On the electronic front, the festival will be welcoming the pioneering electronic legends Kraftwerk’s Kraftwerk 3D audio-visual show, to massive appeal. Not to be beaten out, David Guetta, DVBBS, Kygo, Armin Van Buuren, San Holo and Scooter represent the rest of the electronic cast, sure to make a splash come September. Alongside the electronic and dance acts are some of the biggest names in pop, including the high-flying UK baritone Rag’n’Bone Man, German hip-hop duo SXTN, and Dua Lipa, an English singer-songwriter who has worked alongside EDM superstar Martin Garrix to clock up more than 1 billion YouTube views, winning two of her five 2018 Brit Award nominations. On the other end of the spectrum, we see a variety of rock and R&B artists representing the less electronic side of things. 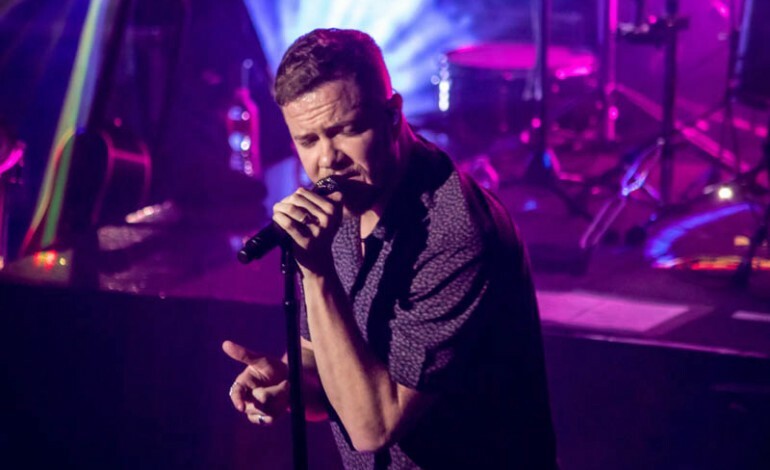 From outspoken critic of rave-culture Liam Gallagher, to Friendly Fires, The Weeknd, Imagine Dragons, The National and the Wombats, there will be plenty to see for rock fans as well. Tickets for the event are on sale here, and cost €79 for a single day pass, with the full priced at €139.. The Olympic Park and Stadium held event will be a return for the festival to the German capital’s stadiums after a brief spell out of town last year, in Rennbahn Hoppegarten.